Girls Inc. of Central Alabama – United Way of Central Alabama, Inc. 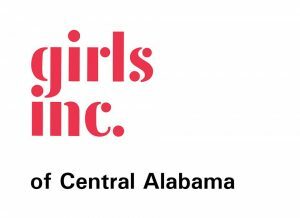 Since 1938, Girls Inc. of Central Alabama (formerly Girls Club Inc. of Birmingham) has provided gender-specific programs for school-age girls of diverse racial and economic backgrounds. Girls Inc. is an affiliate of the National Girls Incorporated and has also been a United Way of Central Alabama partner agency since 1954. Girls Inc.’s core areas of programming include: science, math, technology, career development, economic literacy, English & creative writing, healthy living, arts, sports and cultural enrichment. A variety of prevention education programs are offered through the Outreach Department covering areas such as health and wellness, life skills development, preventing adolescent pregnancy, substance & alcohol abuse prevention, and job readiness. Through all of these programs, the goal remains to help girls achieve at their highest level. Girls Inc. helps girls gain new skills, develop self-confidence, and learn to compete in an ever-expanding world. Girls are exposed to our programming through center-based participation and outreach community-based forums provided to schools, clubs, and churches.